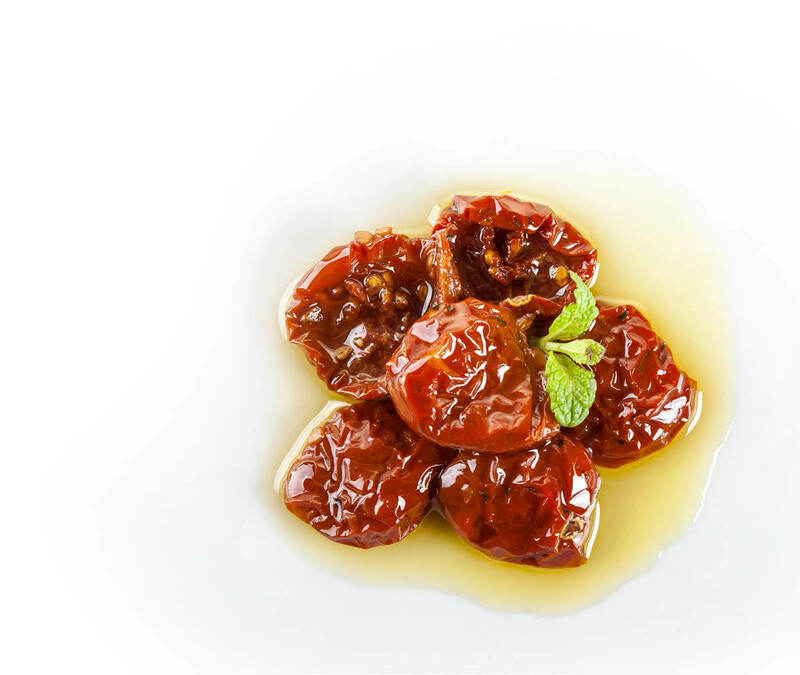 The Cherry tomatoes are cultivated in April and are picked by hand in the month of July. 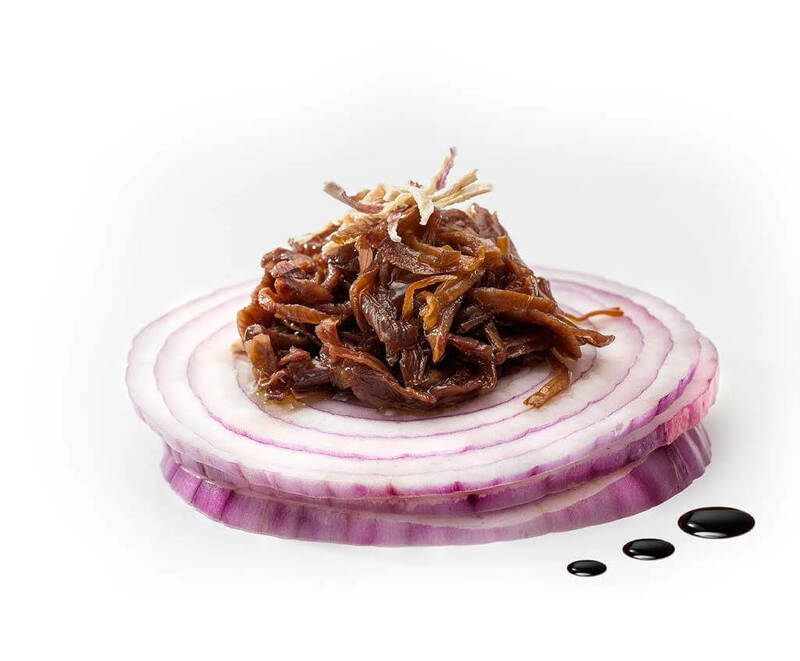 All the phases are processed inside our factory. 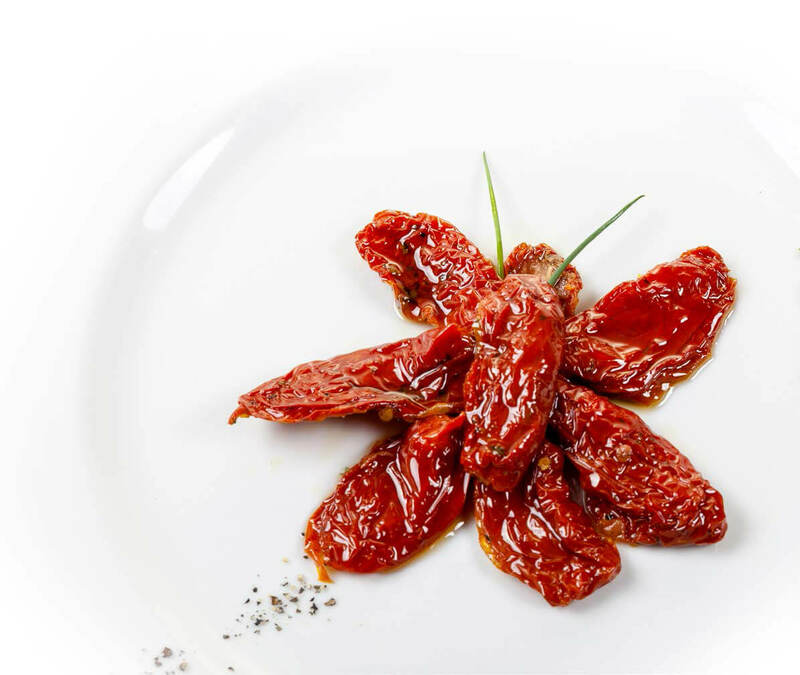 The tomatoes are picked, washed, selected, manually cut, salted and desiccated in the sun for 4-5 days on wood frames. 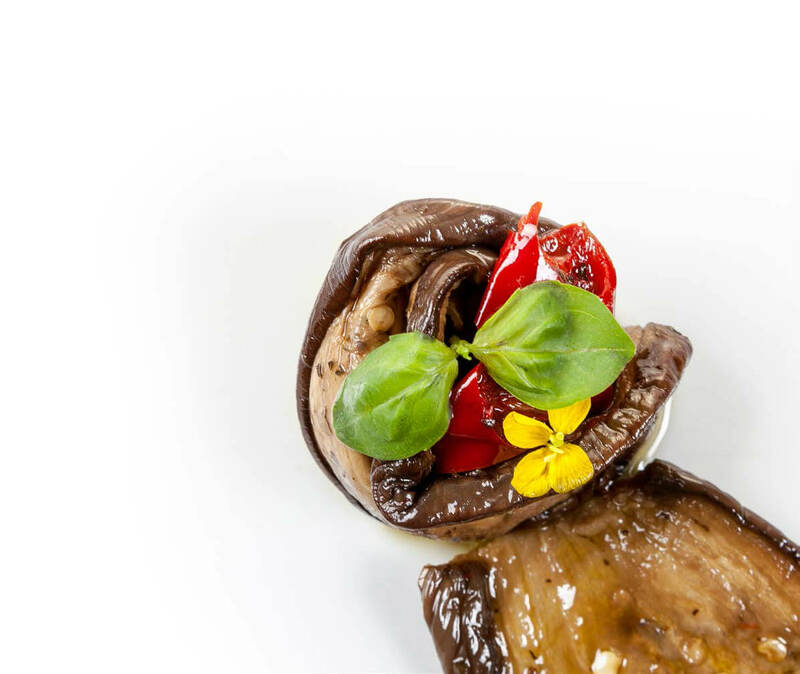 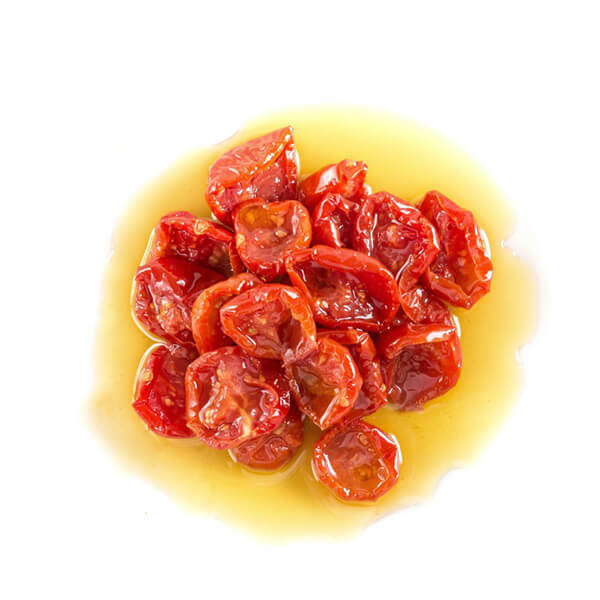 The sun-dried cherry tomatoes are fragrant and appetizing, perfect to surprise your guests during a hors d’oeuvre. 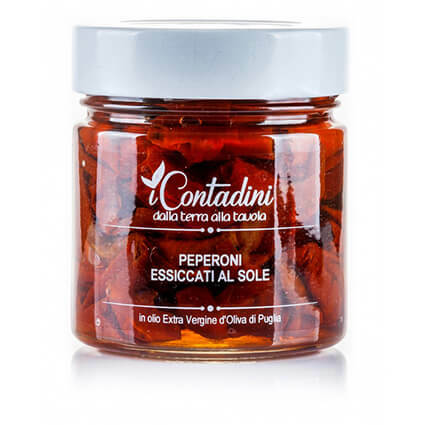 Also very good with a fresh mozzarella, on a pizza, on a bruschetta (roasted bread) with capers from Racale or for a fast and delicious pasta with fresh basil. 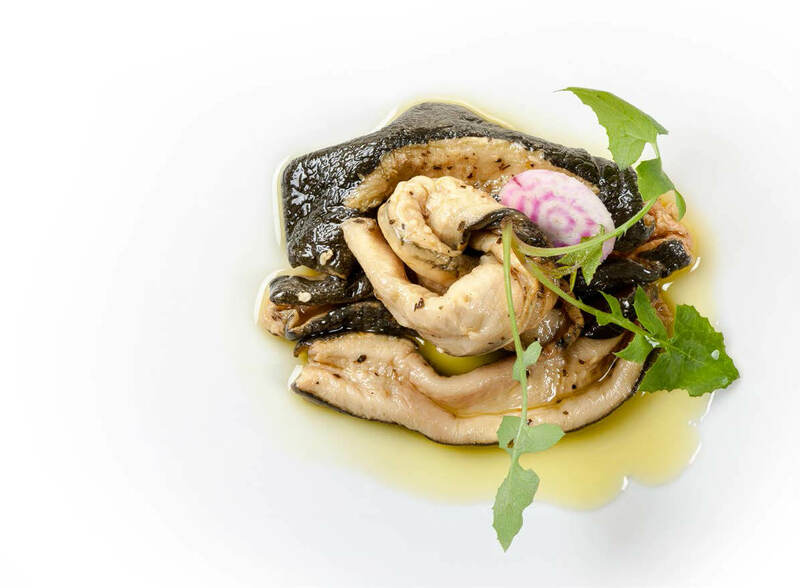 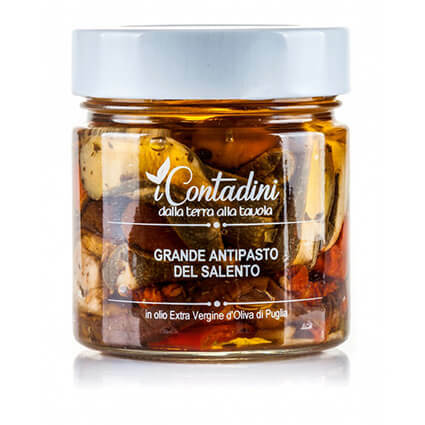 An ever-increasing number of famous chef have noticed the versatility of this product and are using it more and more to create extraordinary dishes. 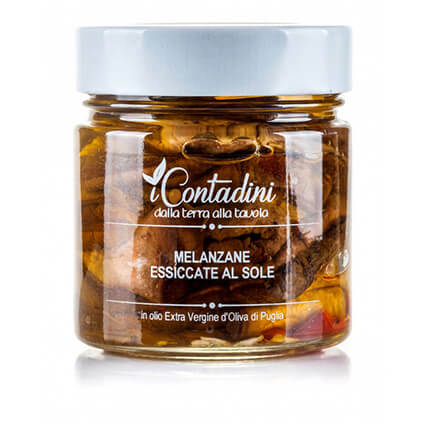 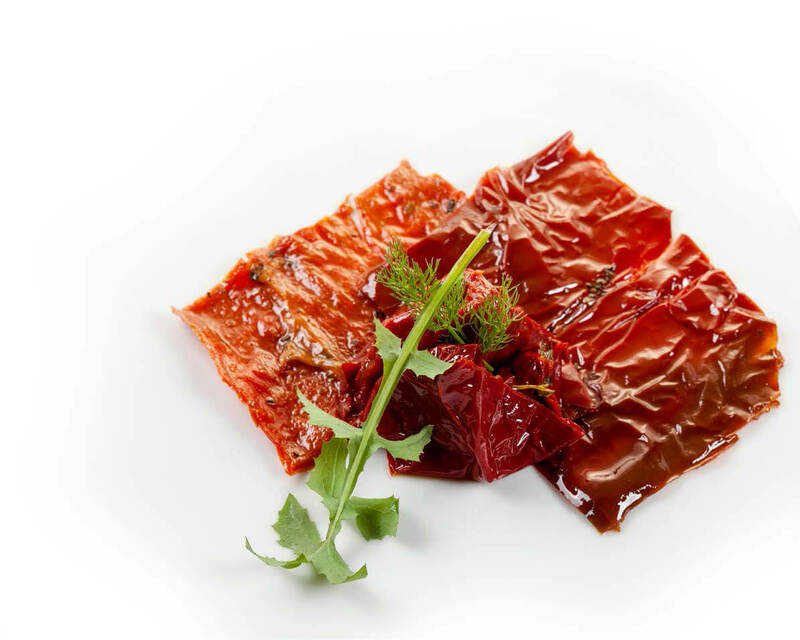 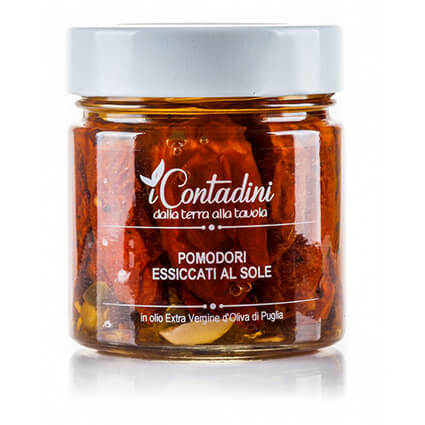 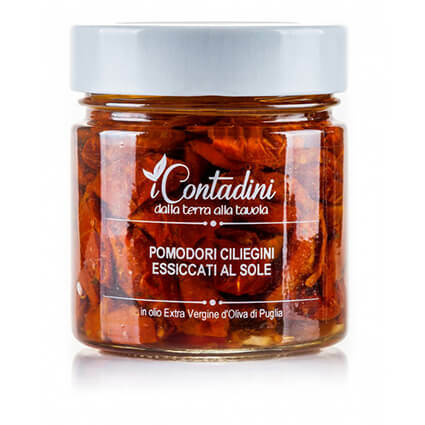 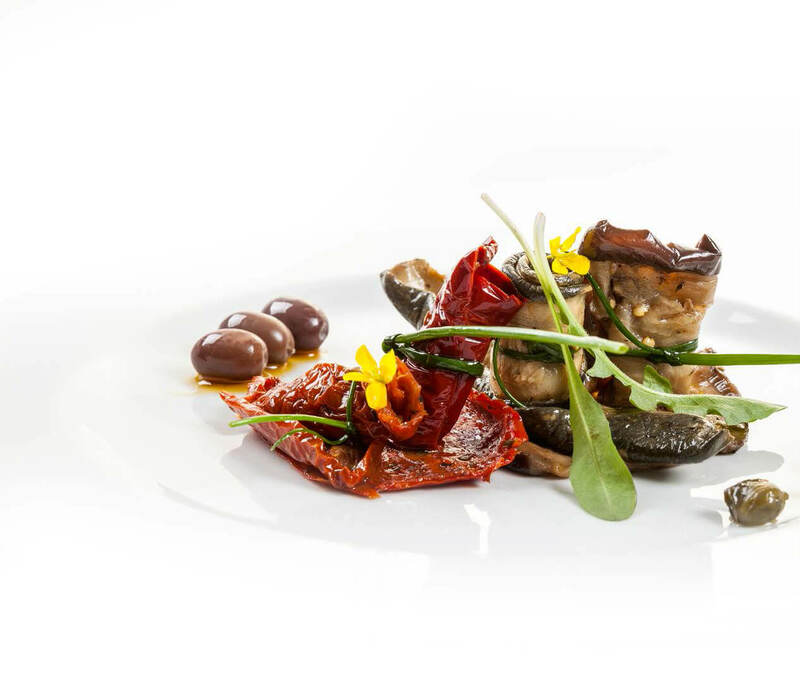 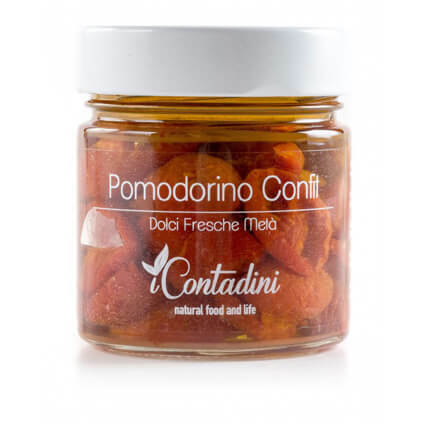 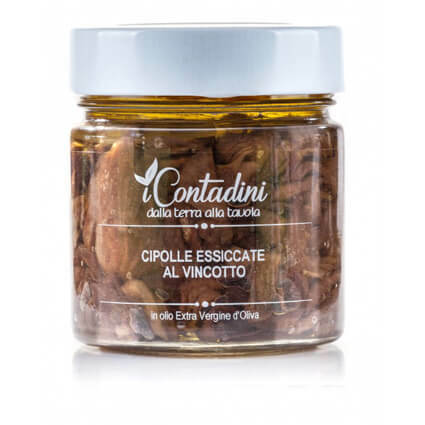 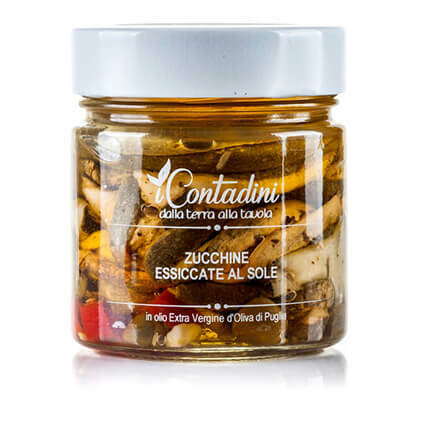 Sun dried tomatoes "ciliegino"(65%), extra virgin olive oil(30%), capers, chilli, garlic, aromatic herbs, vinegar, salt, sugar, lemon juice.